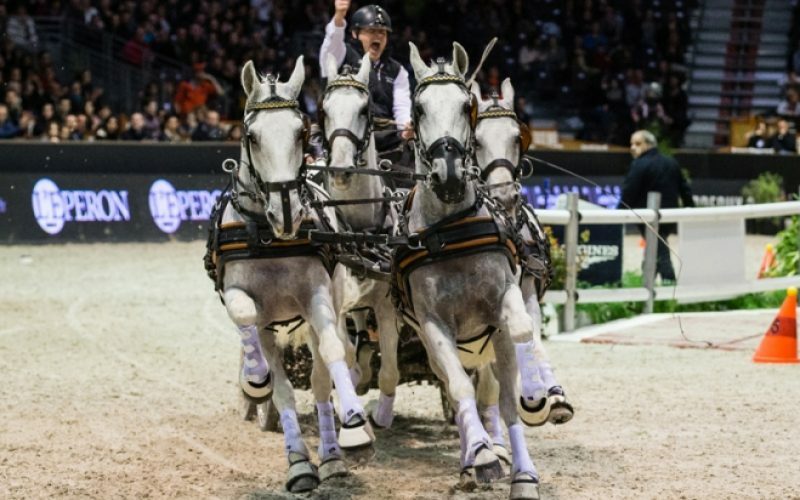 After the introduction of the FEI World Cup™ Driving for four-in-hands in 2001, the Series developed and became more and more popular amongst Carriage Driving fans, Competitors, Organisers and Media. 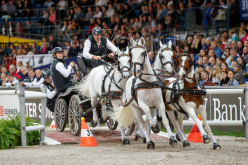 The Series form a fantastic platform for the promotion of the carriage driving sport, in particular indoor driving. After an exciting outdoor season with thirteen qualification competitions all over Europe, 10 top four-in-hand drivers will battle it out over eight Legs. As Chester Weber (USA, placed 4th), Michael Brauchle (GER, placed 6th) and Christoph Sandmann (GER, placed 10th) withdrew their participation, Jérôme Voutaz (SUI), Edouard Simonet (BEL) and Rainer Duen (GER) moved up in the standings and were delighted to be able to compete in the 2016/2017 Series. 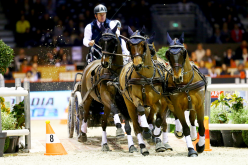 Six times FEI World Cup™ Driving Champion and four times World Champion Boyd Exell won the Outdoor Qualification Ranking and will do his utmost to win the World Cup title back again. 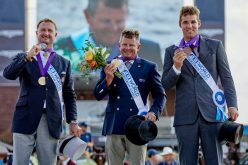 Reigning World Cup Champion and silver medallist at the FEI World Championships in Breda IJsbrand Chardon (NED) and bronze medallist Koos de Ronde (NED), both members of the undefeatable gold-medal winning Dutch team, are again part of the Series, as well as their team member Theo Timmerman. Father and son József Dobrovitz and József Dobrovitz jr. were members of the silver team in Breda and will defend the Hungarian colours during the upcoming indoor season. German Champion Georg von Stein (GER), member of the bronze team in Breda, qualified for the Series after winning the World Cup Qualification competitions in Lähden (GER) and Donaueschingen (GER). 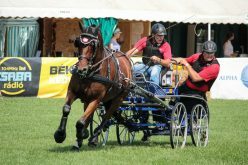 Jérôme Voutaz got seriously injured at the last FEI World Cup™ Driving Qualification competition in Donaueschingen (GER) in September, but his recovery is going well and he has confirmed that he will kick off his second FEI World Cup™ Driving season in Stuttgart (GER). Edouard Simonet (27) competed with a wild card at the CAI-W Mechelen (BEL) in 2015, where he finished on the fourth place. After several top ten places during the 2016 outdoor season, he got injured at the FEI World Championships in Breda (NED) early September as well. 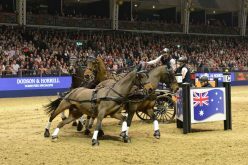 But like Voutaz, his recovery is also going well and Simonet, who learnt the tips and tricks of carriage driving as groom for Boyd Exell (AUS), will start his season in Stockholm (SWE). Rainer Duen (GER) was the runner up in the German Championships and achieved several top 10 placings during the outdoor qualifiers. Duen will compete in the series for the fifth time in his career. The FEI World Cup™ Driving series is made up of eight Legs in Germany, Sweden, Hungary, Switzerland, Great Britain, Belgium and France. 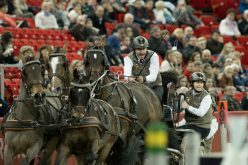 After one year of absence, Budapest Horse Show is part of the Series again, much to the delight of the drivers. 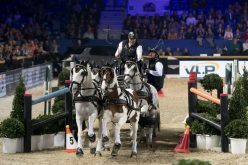 The Driving world is extremely pleased to welcome Gothenburg Horse Show back as host to the FEI World Cup™ Driving Final from 24th to 26th February 2017. Five drivers from the Top 10 will compete at each event and organisers may give wild cards. Every driver competes at four events. The scores from the best three events count. The top six drivers qualify for the Final, which will take place in Gothenburg (SWE) for the first time again since 2009.